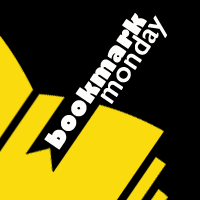 #BookmarkMonday (269): Happy Halloween! #Boo(k)mark! Happy Halloween weekend! 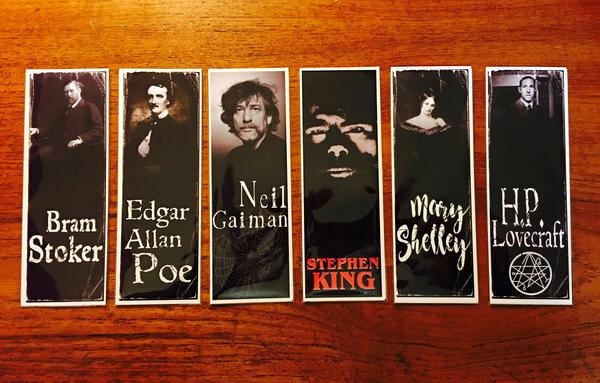 I will be busy dressing up and scaring kids so I am posting early some so-obviously Halloween-themed bookmarks courtesy of La Creeperie Bookshop. * Share some of your own! When Halloween rolls around, I get an itch to reread Neil Gaiman's books. I love The Graveyard Book and Coraline (check out my reviews). Although they're both children's books, they're so insidiously scary! I have to admit that Bram Stoker*, Edgar Allan Poe,* Stephen King*, Mary Shelley* and H.P. Lovecraft* are probably creepier! Who's your favourite "scary" author? Or "scary" book?